Sniper Ghost Warrior Contracts is the next game in the popular tactical shooter series by CI Games that has just been confirmed to arrive on PC, PlayStation 4, and Xbox One in 2019. This new title is set in the Siberian wilderness and comes with a new way to play, namely the contracts system. Fans of the Sniper series should get ready for a new direction because CI Games has just announced that Sniper Ghost Warrior Contracts is scheduled to arrive in 2019. The next game in the series will hit Windows PCs, PlayStation 4 and Xbox One consoles in 2019, but an accurate launch date has not been mentioned yet. 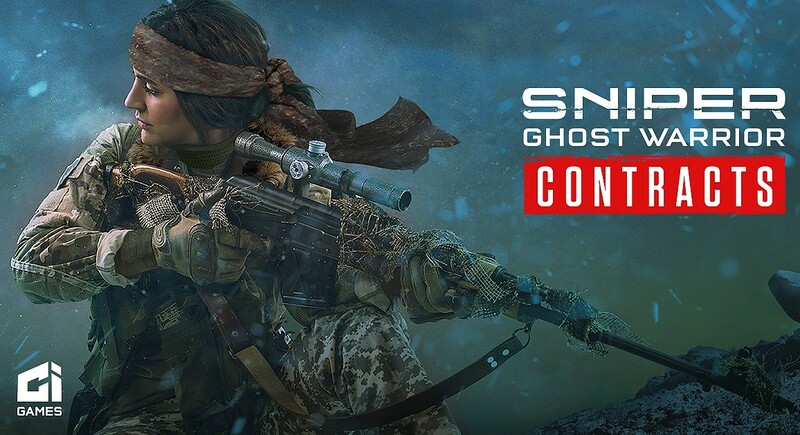 According to the official press release, "The title takes its genre-defining sniping gameplay to the harsh climates of the Siberian wilderness and introduces a brand new way to play – the contracts system." Sniper Ghost Warrior Contracts no longer provides an open world experience like Sniper Ghost Warrior 3, providing contract missions with a clear main objective and monetary reward, as well as the option to go for secondary objectives that come with bonus payouts. In addition to the new way of playing, the game comes with an improved game engine that minimizes load times and provides a steady FPS. The CEO of CI Games, Marek Tymiński, thinks that Sniper Ghost Warrior 3 was too ambitious with its open-world approach so Contracts will be "a more tactical, more condensed experience and the game will offer plenty of replayability, both on the single player campaign and on the multiplayer modes." Sniper Ghost Warrior 3 was released at the end of April 2017 so we can hope that its successor will arrive in the spring of 2019 or even earlier. However, we should get ready for more news about this title in the coming months. Do you think that Sniper Ghost Warrior 3 is a failure as pictured by many reviews or not? Let us know in the comments.